Formula 1 — it is not only the race, but also a rich show program for spectators. Tribunes at the Grand Prix are always downtrodden "to overflowing", and television broadcasts collects millions of audience. Perhaps not only the fans, but every man fascinated cars, at least once thought about, not whether to go to see Formula 1 "live?" The Russian fans finally appeared a pilot F1 (first VitalyPetrov, and now Daniel Kvyat) and its track F1 — Sochi Speedway. The debut Grand Prix of Russia has died down with a bang! What if to visit… every Grand Prix of Formula 1? When talking about the usual journey, everything seems to be, it is clear: either buy a ready-made tour, or to organize a trip yourself. What if we're talking about a trip to Formula 1? In the same way, plus buy a ticket for the race! Leave doubt behind. The main thing — to want! Go to the other side of the world — Australia! 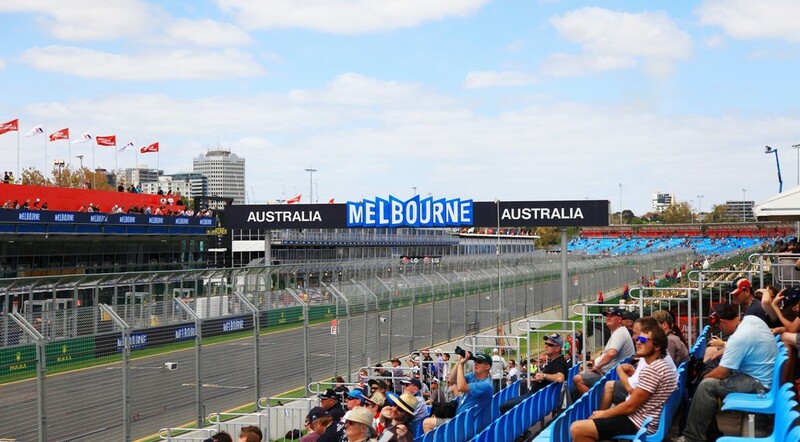 Why I chose the Australian Grand Prix? It's simple — I decided to start from the very first race of the season!So, prepare for the journey. Here, as I said, at the request — you can use the services of travel agencies (which provide airline tickets, hotel accommodation, insurance, visa), and you can do all by yourself. How to buy tickets to the Formula 1? Zone of free accommodation; for the convenience of the audience has plenty of screens on which conducted the race broadcast. Either at the Grand Prix or at the race track itself, where it is carried out, it is sure there in official website. Here sold tickets. Usually, you can choose the platform or zone free placement (the so-called "stanchions") — who is the soul.Some Grand Prix, for example, in Abu Dhabi, such zones are not present, only the tribunes. But in Australia there, and called it «General Admission». Exactly this version I chose, becauseit is, besides, very accessible at the price! You pay for tickets by electronic payment or book them home delivery, or print out the voucher, which is changing on the ticketsthe day of the Grand Prix on the track.If you decide to choose a tribune, be sure to check the track scheme and see from which tribune can be seen: rotations, starting line, podium and others. By the way, for the "early birds" are often held special events — such as two tickets for the price of one, or offer good discounts. So it is better to attend to this matter in advance — good places always quickly buy up. Before the trip it is recommended to get a terrain map and a guide, printed schedule of the race weekend. Learn how to buy tickets for public transport and where to go and how to travel. Has thought of everything in advance, you will be able to be independent in another country without knowing a foreign language! Prepare to a long road. The average flight from Russia to Australia is 22 to 30 hours — depending on the chosen airline and the number of transfers. And it's worth it! 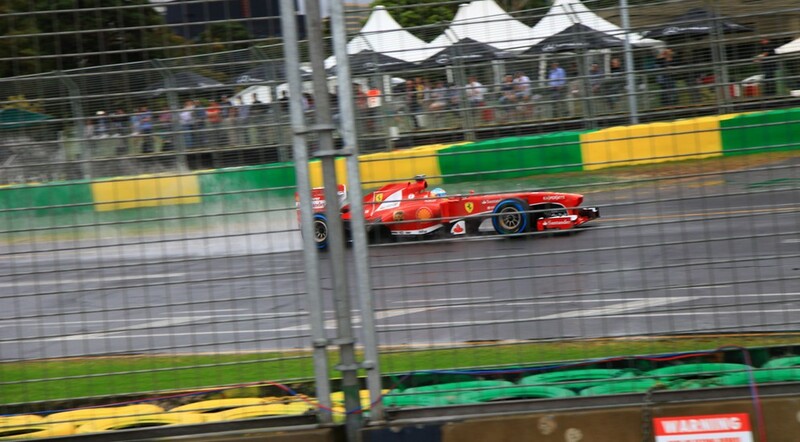 In Melbourne Albert Park (where the Grand Prix Formula 1 take place), except the racing for spectators organized an extensive entertainment program –no one will be bored. — Except it, these days usually comes not so many spectators, so you can take pictures without the crowds in the background. Saturday — qualification; Sunday — the race itself. So we are in Melbourne! Here are the kegs with sunscreen –approach and use on health.Although in March in Australia begins the fall, the weather is fully the summer, so the sun can really be scalding. However, Melbourne is famous for changeable weather: one day can be hot and rainy, and cold. Therefore, going to the race, take a jacket and an umbrella, and better raincoat, even if in the sky a bright sun. Moreover, far from all tribune are with a roof. And the zone of free accommodation availability not assumes the roof.As for the food, do not worry — will not stay hungry. Tent with hot food and drinks — countless multitude and turns, even if they are, they are moving very fast. If you just want water — use points with free drinking water! Free ear plugs; free sunscreen; Information materials — also for free! Already on Thursday at Albert Park organized an extensive program for the audience — both at the track itself, and in special areas of activity.The practice at the races to support Total Oil International Sports Car Challenge, Mazda 6 Celebrity Challenge, Porsche Carrera Cup, MSS Security V8 Supercars Challenge, a demonstration race Targa Tarmac Rally Car. And parkour show stantrayding, airshow, motofreestyle, autograph sessions and more. In addition, on all territory of park are car expositions: cars Lotus Club, Mazda Club, Porsche Club and much more — and rare, and tuning, and sports. Eyes run up! Just going from stand to stand, you can spend the whole day! But when watch of the rest?That is why on the Australian Grand Prix, you can come on the road every day, and will not be bored! Frankly, at the European Grand Prix there is no this interactive for the audience… Formula 1 car on the track appear only on Friday. Already during free practice you will be impressed by the sound of bolides! If on Thursday and Friday people only tightened, then on Saturday tribune is almost completely filled. Day of qualification attracts a lot of spectators. If you wanted to to escape from action on the track, you will always find something interesting in the areas of activity, and it is better — go straight to the race support paddock. 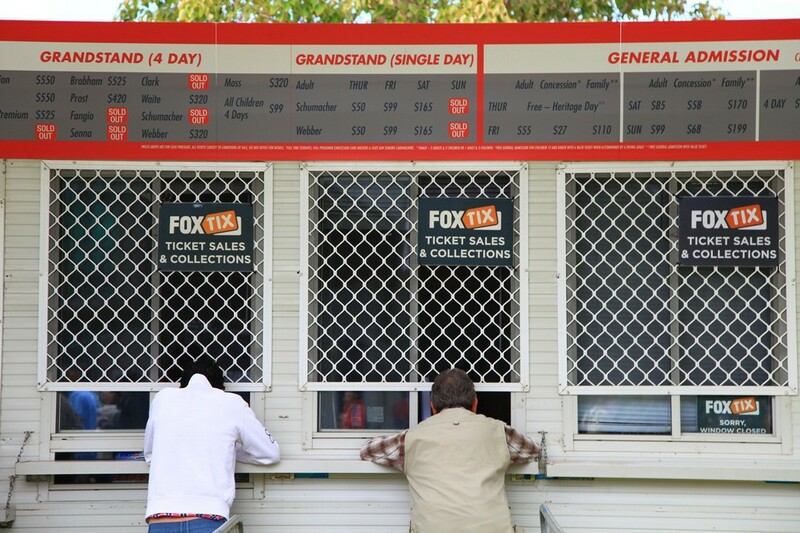 Yes Yes!All exactly as you thought, race support paddock at the Australian Grand Prix are open for spectators! You can go to the machines, to see how the mechanics work, meet with the pilots, get autographs and take pictures with hot girls models and sports cars.Participants of support races, by the way, have their own souvenirs and attributes, located even in one tent, and in several! Australians have made Formula 1 race into areal car exhibition, but such a scale that you could come to the track at Albert Park from Thursday until Sunday, and every day to discover something new.To make it clear: the automotive exhibition at Albert Park can be compared with our Russian "Autoexotics", but also add to it the animation area, where it is constantly someone performs on stage, performs tricks, signs autographs, or read a free seminar on the right to drive. Organizers have collected here and rare oldtimers and vintage racing cars, and clubs, and representatives of contemporary local championships. And, of course, the culmination of what is happening wasFormula 1 itself. On Sunday, I recommend to stay on the track from beginning to end. All the races go clearly on schedule. Adjustments during the time frame could make nobody except the bad weather, and so — all on the dot! Firstbefore the race of Formula 1 is traditionally held parade of pilots. In some countries, the pilots on the route being taken by bus with an open top. And in some of each pilot provided it’s unusual –as a rule a rare and old car. It was the same in Australia, where in the parade was attended Austin-Healey Sprite! Next on the schedule is the solemn procedure of constructing the bolides on the starting grid. And now to what you have seen, photographed and tried from Thursday to Sunday, from what has impressed deeply, add the race of the Formula-1 itself — you get the culmination of all the events and the incredible emotional splash. 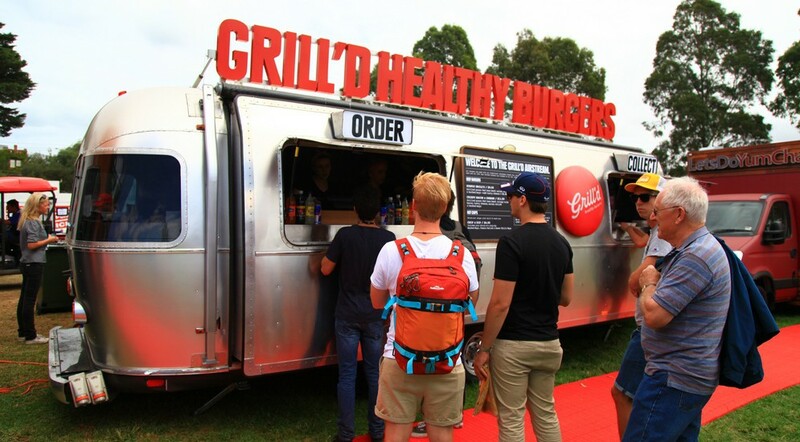 Yes, the Australian Grand Prix — it is unforgettable! It is rumored that Formula 1 fun to watch on TV. It is certainly convenient: picture from different parts of the track, the commentator. But … a trip to the Grand Prix, especially in the company of friends, not comparable with anything! That was confirmed by the fans themselves. Julia looks Formula 1 since 1995, at the Grand Prix goes from 2009"I went to Australia for impressions. And the fact that on this continent will start the first stage of the season in the royal race, stirs interest even more. It's great to fly from the cold, snowy (! )spring in hot autumn Australia.Many hours of tired flight, but that opens to your eyes on this continent is impressive. Everything else is different from our — nature, animals, people. The track at Albert Park is one of the longest tracks, which runs along the park roads surrounding an artificial lake. It is a combination of short straight turns and fast smoother.The track is quite complicated for the riders. There are a lot of hillocks on it, and need to know how to deal with them. Melbourne greeted us with rainfall and the cold weather. But all the actions that take place both on the track and beyond its limits — live music, entertainment shows, demonstrations, exhibitions, and other presentation of the Royal Air Force of Australia, plus the overall impression of the country — reinforced in me the opinion that I should definitely come back here! ". "Australian Grand Prix is organized is really at a high level. Albert Park is within walking distance from the city center. For those who are too lazy to go run free trams and buses. The atmosphere in the park a racing: the weekend, starting Thursday, is saturated with competition everywhere exhibited historic and modern racing cars of various series, including Formula 1 race cars of 50-60-ies. With pleasure look and listen to the sound of engines Maybach, Maserati, Alfa Romeo, Bugatti, and the champion for the Australian Brebema Jack Cooper. I liked that watch the competition on the track; you can literally located five meters from the race web.. This so-called "stand-up" places, for my taste, it is in Albert Park is better than a place on tribunes, allow feel the spirit the race. The park itself is enough places for recreation and entertainment.You can take a walk along the lake or admire the circus performances. In general, the Australian Grand Prix, as always, turned out to be interesting and exciting in terms of the fight on the track. " It goes without saying; in Australia is popular auto sport and motor sports. There are definitely proud of their pilots. And the Australian Grand Prix — a race, show, car show, concerts, concentrated in one place and in one weekend, to which you can go alone, with friends and family. Excellent choice to start the season!